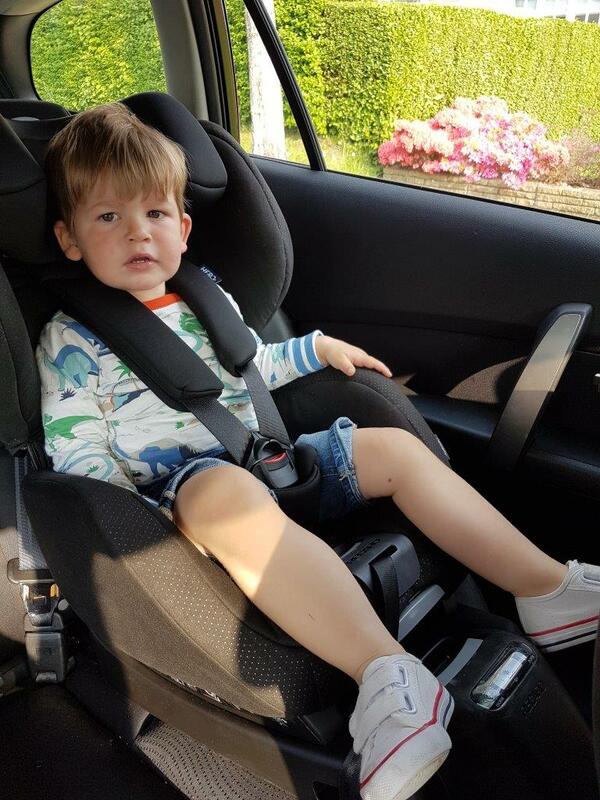 What Recaro Say: The Recaro OptiaFix Child Car Seat is a forward facing group 1 seat, suitable for use from 9 – 18 kg (approx. 9 months – 4 years). With a permanently integrated RECARO fix base, installation is made easy as well as providing a safe and secure fit. Optiafix features the innovative HERO headrest system from RECARO; the shoulder padding, belts and headrest form one unit which prevents the harness system from twisting and slipping, this also assists when buckling in too. 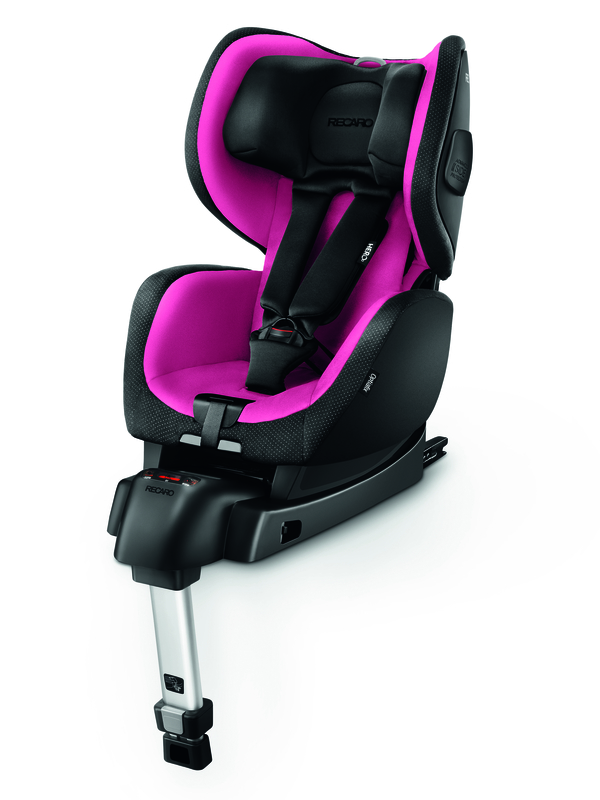 The group 1 seat features high performance energy absorbers to protect your little one and the seat is cast in one shell which provides additional safety. The sleek curves and smooth lines ensure Optia is stylish and modern. Firstly I was quite surprised how light it was, my only previous experience of isofix seats were a separate base and baby carrier. I felt the whole seat unit was the equivalent weight of the other isofix bases I have used. On closer inspection of the seat, I thought it looked well designed and of good quality and the seat material and padding appeared both very soft and comfortable. Being a typical man I had to see if I could fit the seat without using the instructions and to my wifes surprise I was able to with ease in under 5 minutes. To properly test the seat fitting and instructions I removed the seat (again without any issues) and left it to my wife to read the instructions and fit the seat. After studying the instructions for a few minutes she too was able to fit the seat without issue. The seat also comes with various indicators that make it very clear whether you have fitted the seat correctly. One thing I also noted is that the seat is slightly thinner than other seats that we have used, which I think is great as it means that the seat doesn’t impact upon a passenger using the middle seat in the rear as much. Adjusting the seat and straps. The seat is exceptionally easy to recline and the recline motion is very smooth so don’t have to deal with any unfortunate jerks that might wake your little one. Adjusting the straps is exceptionally easy, and the straps glide very easily. I have found however that the button can sometimes not fully click in so the straps cannot be pulled loose. In addition to the above on occasion the straps twist in the buckle feed which can mean you get an uncomfortable twist against your child. This isn’t that often however, any parent who has tried untwisting a strap with a thrashing child in the seat will agree it is highly irritating. My main bug bear with the seat is the actual buckle. Most car seat buckles are designed in away that they the two halves fit together well before clicking into place. However, I find the OptiaFix, they fit together easily enough. However, they don’t stay in position very well so as you are trying to click them in the often separate. We have used two other seats aimed at the same age group; one budget and one more expensive and both buckles fit together better. The seat comes with Recaro’s Hero System, which is basically one unit for the shoulder padding, harness straps and headrest. I do like the system as it does make adjusting the height of the head support and straps exceptionally easy. Trying to get a sensible answer out of a 2 year old isn’t always the easiest. However, when I asked our son if he liked the new seat he was surprisingly responsive saying “yes, cozy”. To translate our son uses cozy for comfy. So a very positive response. I also think he appears more settled, comfortable and more likely to fall asleep in the Optiafix. Feels very soft and our son finds it very comfortable. Is thinner than over car seats we have had which leaves more space for anyone sitting in the middle. Very easy to adjust the height of headrest..